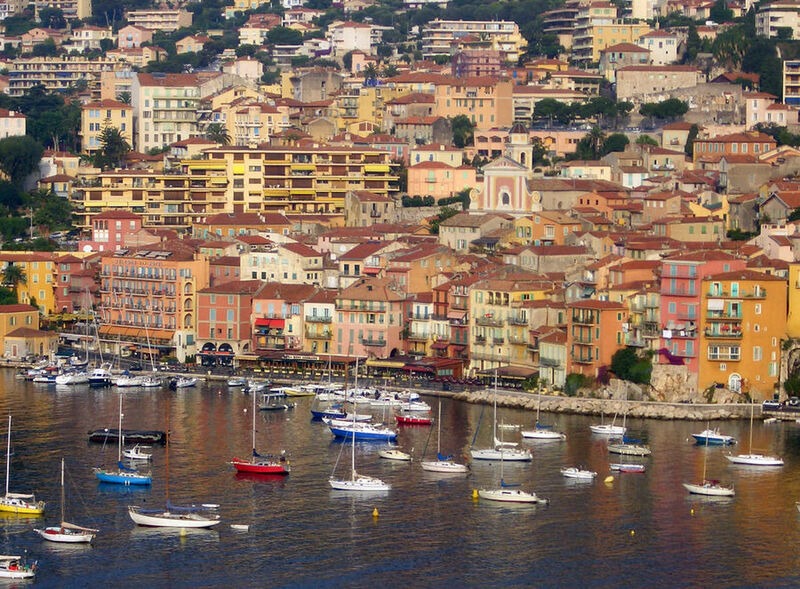 I'm in Villefranche-sur-Mer on the French Riviera. It's twilight and I'm eating at La Mère Germaine (Momma Germaine), a restaurant that got its start feeding hungry GIs in World War II. Germaine's grandson runs the place today and he's at my table — artfully filleting six different fish before lovingly ladling on the broth. He explains the Riviera's most famous dish to me as if I plan to cook it back at my hotel: "It's a spicy fish stew based on recipes handed down from sailors in nearby Marseille. A true bouillabaisse must contain at least four types of fresh fish — though we include six. It never has shellfish. We cook the fish in a tomato-based stock...flavor with saffron and white wine." He finishes the lesson sprinkling in croutons and capping everything with a dollop of garlicky rouille sauce. Savoring perhaps the most expensive dish I've ever eaten in Europe ($70), I'm engulfed in the Riviera good life. I'm so close to the harbor I can toss my olive pits into the sea. Several mega-yachts sit off shore. One's named Lady Maura (I'm told Maura is an ex-wife of the Saudi King Fahd). You never know whose stern line you might be catching around here. A skipper looking formal in his casual wear is shuttled ashore by his tidy mate in a tiny dinghy...just picking up his statuesque date for the evening. Germaine's grandson gives me a knowing wink. Pondering my lavish meal along with the day's sightseeing, I'm reminded of the heritage of hedonism unique to this stretch of Mediterranean beach. Some of the Riviera's priciest real estate stretches from where I sit, in Villefranche, to nearby Monaco. 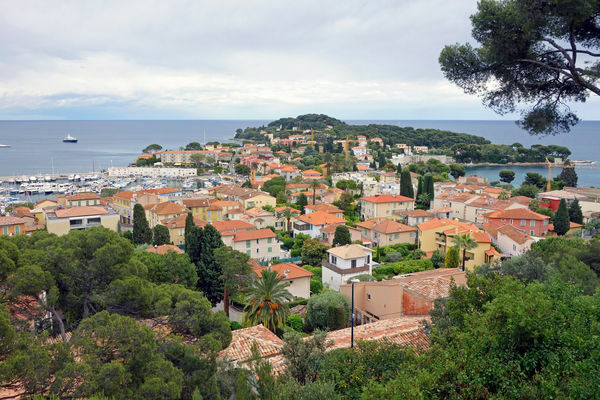 Just beyond the Lady Maura, Cap Ferrat, an extremely exclusive, largely residential community, fills a peaceful park-like peninsula. While you'll never get past any gates, I spent a delightful day here just strolling — and this isn't your average jogging trail. 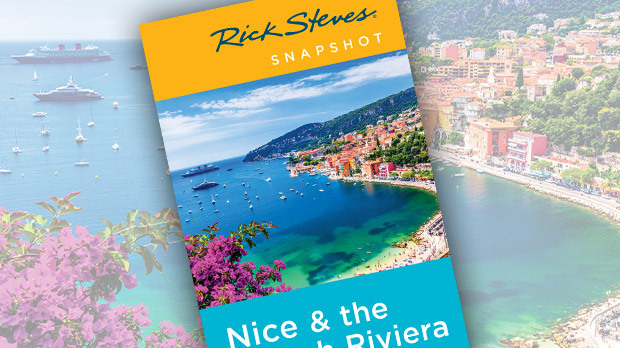 Following its well-groomed path, I got a glimpse of David Niven's home, wandered the ritzy port of St-Jean-Cap-Ferrat, toured the ultimate Riviera mansion and gardens — the Rothschild Ephrussi Villa, and stumbled upon a hidden little beach. Not very welcoming, it felt like the private domain of aristocratic nymphs and satyrs. In towns all along the Riviera, graceful buildings from the turn-of-the-last-century line the harborfront — reminders of the belle époque. It was literally the "beautiful age," when the world seemed to revolve around the upper class and indulgence with abandon was a lifestyle. A prime example of belle époque luxury is the majestic Hôtel Negresco, overlooking the grand Mediterranean promenade of Nice. The hotel offers some of the city's most expensive beds and the chance to step back into that age of extreme refinement. Its exquisite Royal Salon combines belle époque grace with engineering by the great French architect Gustav Eiffel. The chandelier is made of 16,000 pieces of crystal. It was built in France for the Russian czar's Moscow palace…but, because of the Bolshevik Revolution, he couldn't take delivery. Just beyond Nice is the town of Antibes. "Discovered" after World War I, it enjoyed a particularly roaring '20s — with the help of party animals such as Rudolf Valentino and the rowdy-yet-very-silent Charlie Chaplin. They say fun-seekers even invented water skiing there in the 1920s. Picasso enjoyed the good life in Antibes. In 1946, 65-year-old Pablo Picasso was reborn. World War II was over, and Picasso could finally escape the gray skies and gray uniforms of Nazi-occupied Paris. Enjoying worldwide fame and the love of 23-year-old Françoise Gilot, he moved to Antibes. He painted like a madman, spent mornings swimming in the Mediterranean, evenings partying with friends, and late nights painting again. Ever-restless, Picasso had finally found his Garden of Eden...his joy of life. In Antibes' Picasso Museum, his painting Joie de Vivre shows the painter's flower-child — Françoise. She kicks up her heels and dances across a Riviera beach. Flute-playing satyrs, centaurs, and fauns announce the newfound freedom of a newly liberated France and a newly liberated Picasso. After decades in the city, Picasso rediscovered the joys of village life. Shopping at the Antibes market, he'd return home and turn groceries into masterpieces. With his distinct Cubist style, he captured sunbathers...and munching locals. He was fascinated with the simple life of fishermen. Here on the Riviera, like so many others, Picasso found a pagan paradise, where civilized people could let their hair down and indulge in simple, animal pleasures. 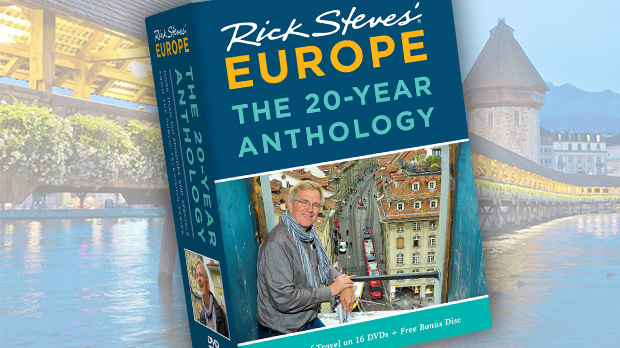 Successful travel, like a bouillabaisse, is the happy result of good things coming together. For the French Riviera, take a variety of beach towns, spice with modern art, toss in a pinch of history, sprinkle in some market fun, and let simmer under the Mediterranean sun.